Situated at the foot of the historic Hyperion Bridge in Atwater Village, Dave's Accordion School continues its steady growth as L.A.'s premier accordion center. Opened in March of 1971, the school originally offered accordion and piano lessons with Dave, and guitar and drums with his younger brothers, Mike and Bobby. Thirty years later, Dave continues his life's work in the older storefront that once housed a machine shop, a grocery store, and a 'dime-a-dance' club in the bygone early 1900's. 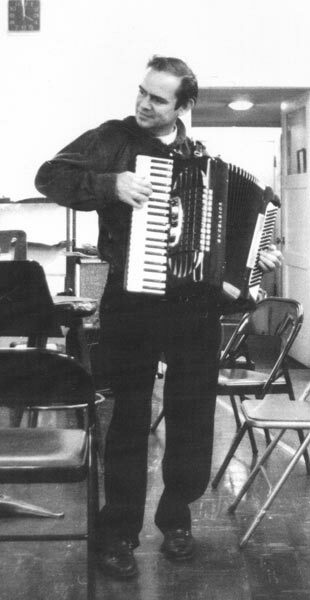 Throughout the seventies, Dave's Accordion Band performed in local events such as the Echo Park and Newhall holiday parades, and won awards in regional competitions. In the eighties, his wife, Veronika, added a violin program. In 1983 they expanded on to the second story and opened Caballero Dance with classes in ballet, tap, jazz and flamenco. In addition to years of teaching, performing and music composition work, Dave provides repair and technical services to a growing list of both local and out-of-state professional accordionists and bands, including Weird Al Yankovic, Glen Hartman of New Orleans Klezmer, Dennis Prager of KRLA radio, Danny Elfman enterprises, the James Taylor band, Thomas Koppel of Savage Rose, Eric Melvin of NOFX, the Dixie Chicks and the Pogues. Dave and his unique school have been featured in The Daily News, New Times, Hollywood Independent, and on NPR radio with Brian Unger. He has received awards from numerous community organizations for dedicated service to his students. Dave is a native of Los Angeles, growing up in Echo Park and Van Nuys. Veronika is German-born from Berlin, raised in Hollywood and Silverlake. The two met in 1971 when Veronika, at that time a new science teacher at Eagle Rock High School, came to Dave's for accordion lessons. Today they have three children and three grandchildren, all residing in the San Fernando Valley.